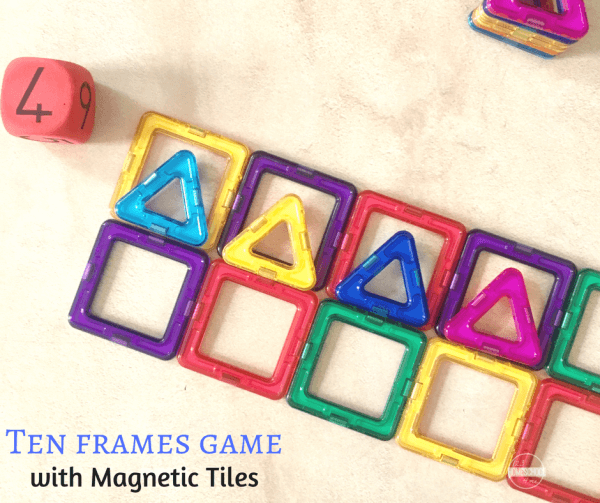 Do you have Magna-Tiles or a similar magnetic tiles toy? 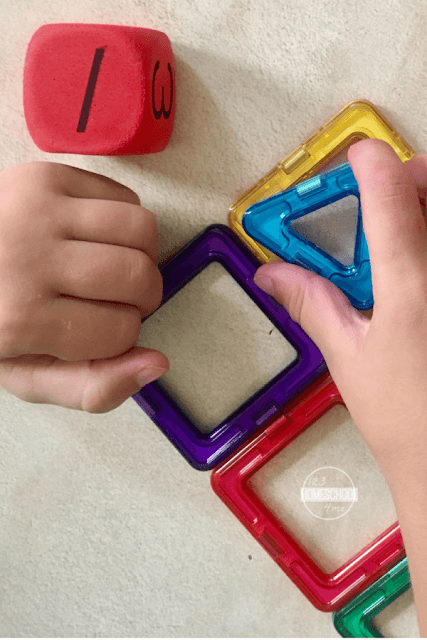 Use it to play this fun ten frames game, perfect for the younger kids to practice counting while having fun! 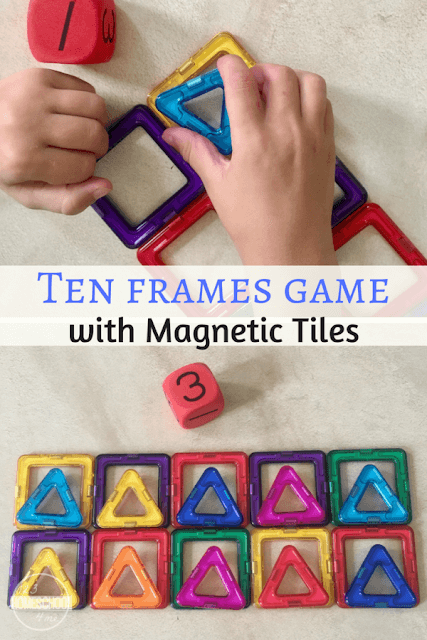 This Ten Frame Math Game with Magnetic Blocks is such a clever, visual, and hands on way to teach kids about ten frames! The idea of the game is to see how fast you can fill the frames by using the dice with the least rolls. In other words: the least rolls but with higher scores will get you to ten(and a full ten frames) faster. Build a ten frame first. Decide who will go first. Keep count of the rolls. The one with the least rolls filling the frames wins! Use this ten frames setup to practice addition and subtraction too! A fun, hands-on Maths activity!